How Many Senses Can You Use? To assess students understanding that objects can be examined using several senses. 1. Hand out worksheet. Have students write their names on the back. 2. Review the five sense organs and what they do. 3. 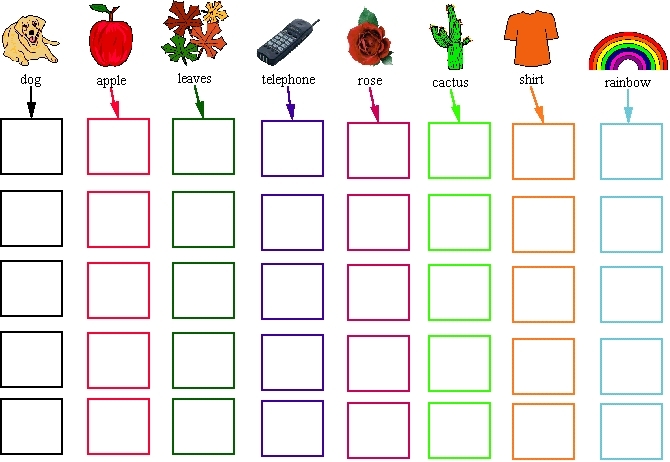 Tell students to fill in the squares underneath the objects with the sense organ they can use to examine that object. They may write or draw the organ. Provide models on the board. 4. As children finish have students bring their worksheet to you for discussion. Allow them to add more after the discussion if they want to.